This month, Jo Teng, a senior lawyer at the Australian Copyright Council, explains Australian copyright for self-publishers. As a self-publisher, you have total control over your book. You get to choose the freelancers you work with, have final say over your manuscript, the cover design, as well as the marketing strategy. Such control is incredibly empowering, but it also means that the work a publishing company looks after in a traditional publishing arrangement—including all ‘the legal stuff’—is now your responsibility. At the Copyright Council, I often get calls and emails from authors seeking advice on copyright before they take the plunge to self-publish. Here’s my list of common questions about copyright, and the answers. I’m confused—I found a website offering to register my copyright! It’s a scam. A common situation I am asked about at the Copyright Council is from creators who have unwittingly paid a fee to ‘register’ their copyright with a website, and later receive emails demanding additional payments to ‘renew’ their registration (with the threat of legal action if that payment isn’t made). If you have paid to ‘register’ your copyright and are receiving such emails, just ignore them—any website offering to register your copyright in Australia, and your refusal to pay any ‘renewal’ fee will not result in legal action. Unfortunately, such scam websites are typically based overseas, so it’s practically impossible for us in Australia to get such websites taken down. All we can do is educate people about copyright and ask others to do the same. So, do I need to put the © symbol on my work? It’s a very good idea to put a copyright notice on your work (e.g. ‘Copyright Jane Leong 2018’). Using a copyright notice helps to remind people that your work is protected by copyright and tells them who the copyright owner is, but it’s not a requirement to get copyright in the first place. In other words, if you forget to put a copyright notice on your book, don’t worry—your book is still protected by copyright. Can I claim copyright in my idea? No. Short strings of text—a title, a name, a quippy slogan—don’t get copyright protection because they’re too small to qualify as a literary work. Harry Potter, Star Wars, Just Do It—none of these word combinations are protected by copyright. However, they are registered as trademarks with IP Australia, which gives them protection as brands. So while it’s no problem to write in your book that Harry Potter is your character’s favourite series, you should steer well away from using ‘Harry Potter’ in your book title or marketing. All this ‘legal stuff’ is complicated, where can I get legal advice? The Copyright Council is a small, non-profit organisation that advises on and advocates for copyright law. We provide a free legal advice service through which we can help you understand your situation and figure out a way to move forward. We also have a large number of free information sheets on our website covering almost every aspect of copyright law, including how long copyright lasts, owning and licensing copyright, and copyright exceptions. 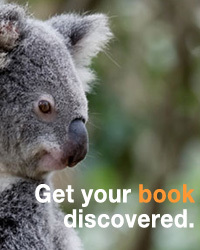 For more information, head to www.copyright.org.au. Jo Teng is the senior lawyer at the Australian Copyright Council.